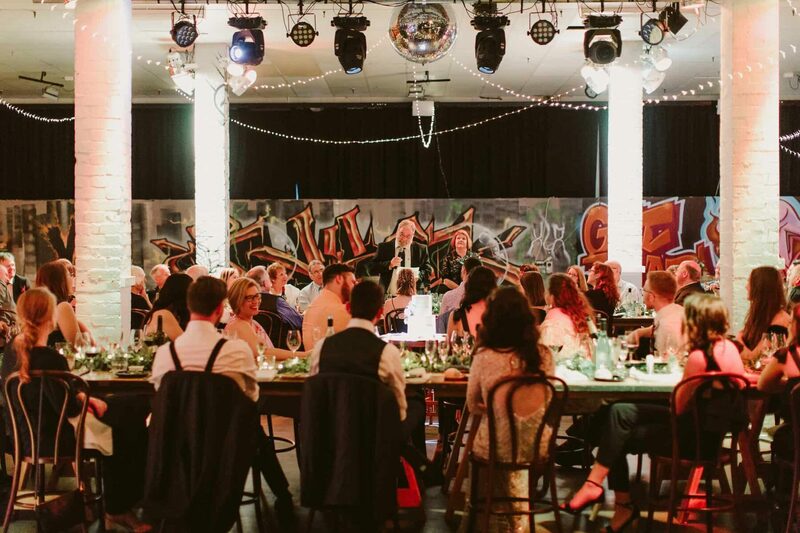 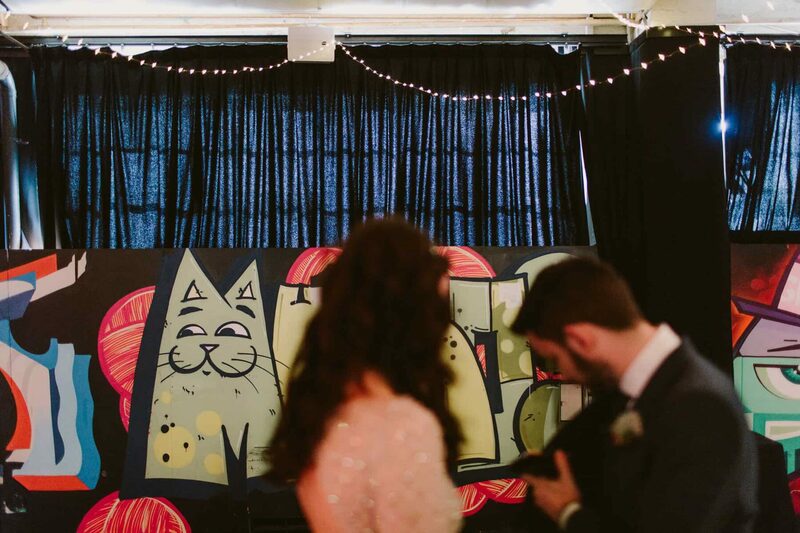 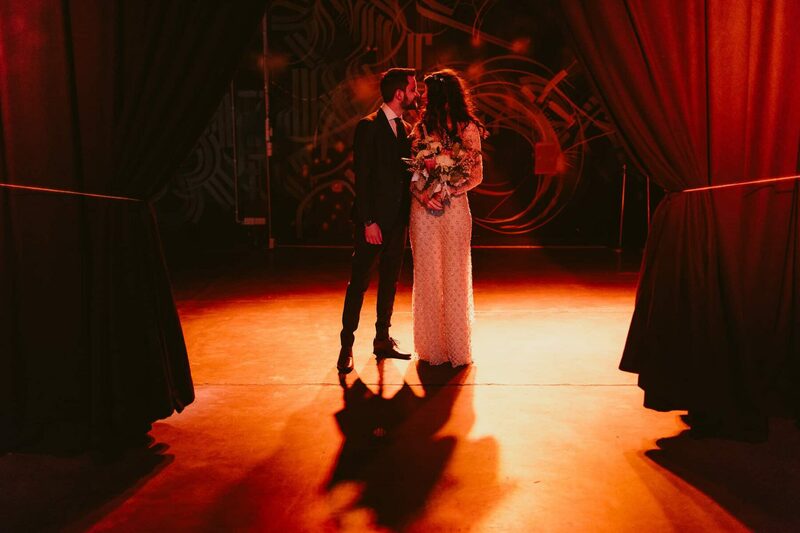 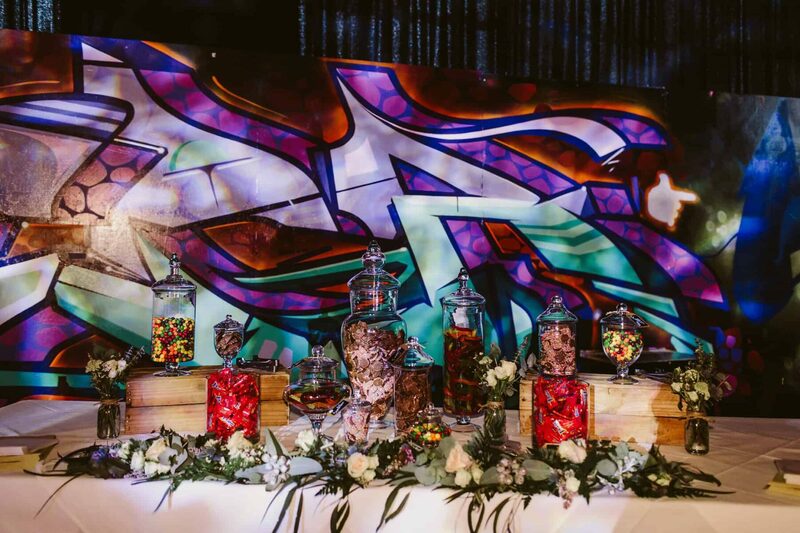 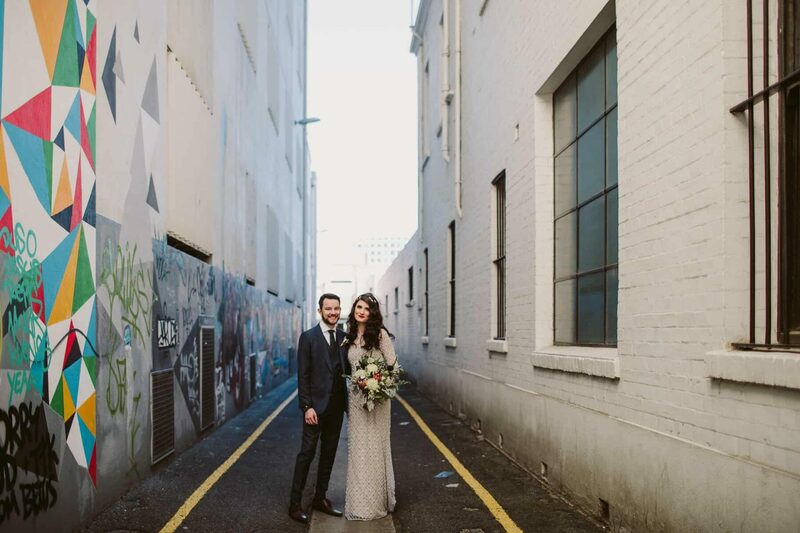 Inspired by the quirky setting of Published ArtHouse, Tahnee and Michael’s eclectic wedding was a little bit industrial, a little bit 1920s, and a whole lot ‘them’. 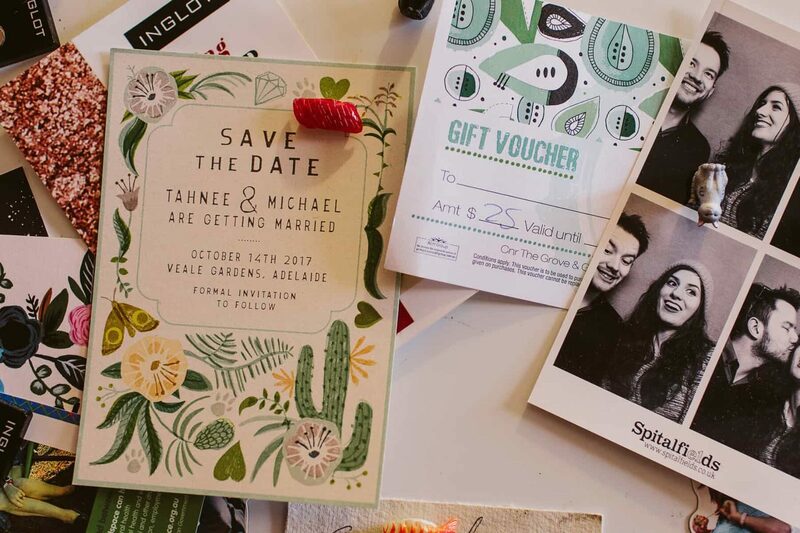 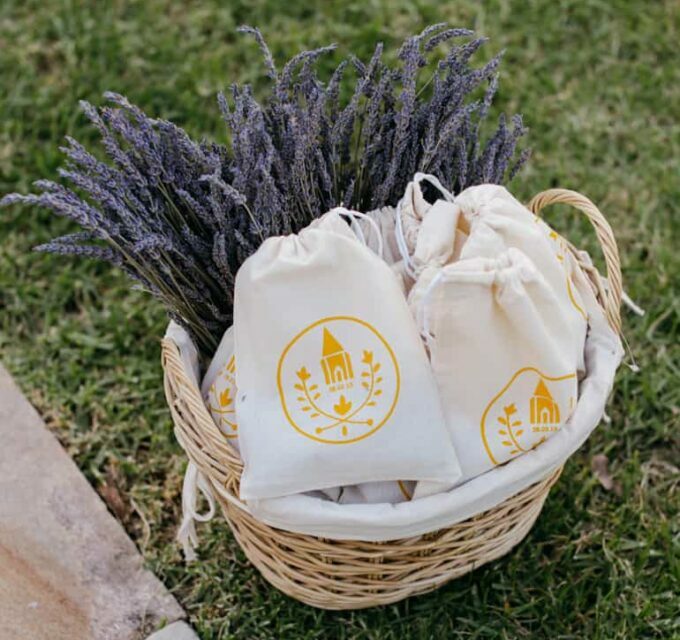 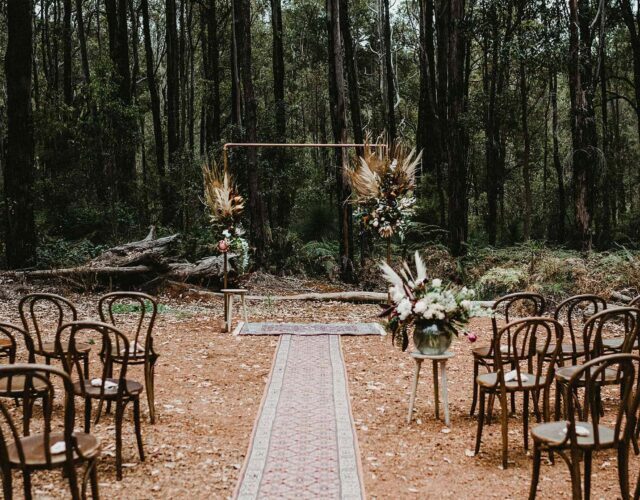 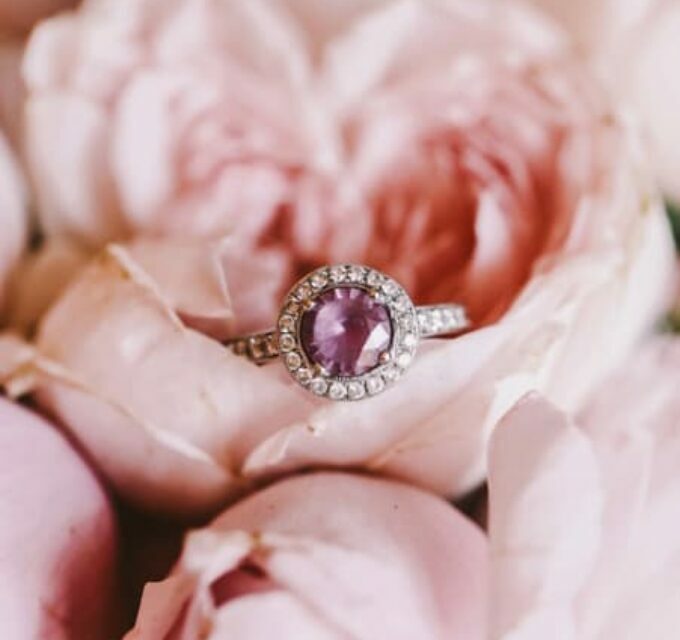 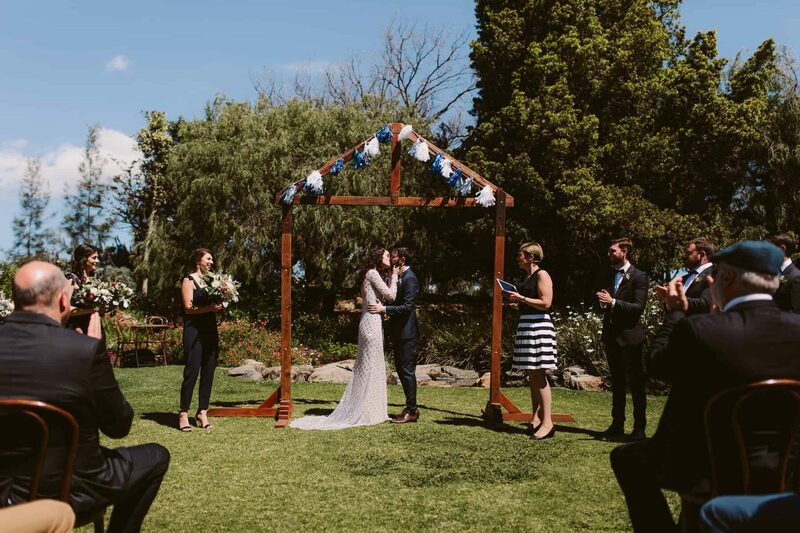 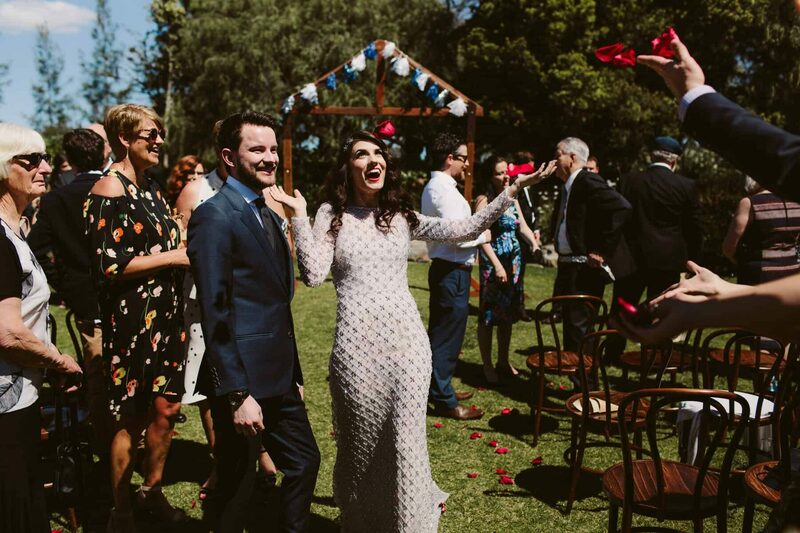 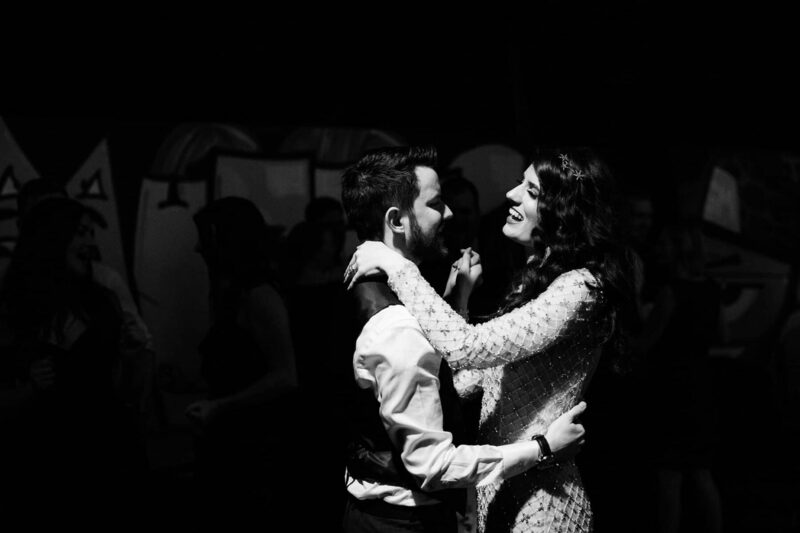 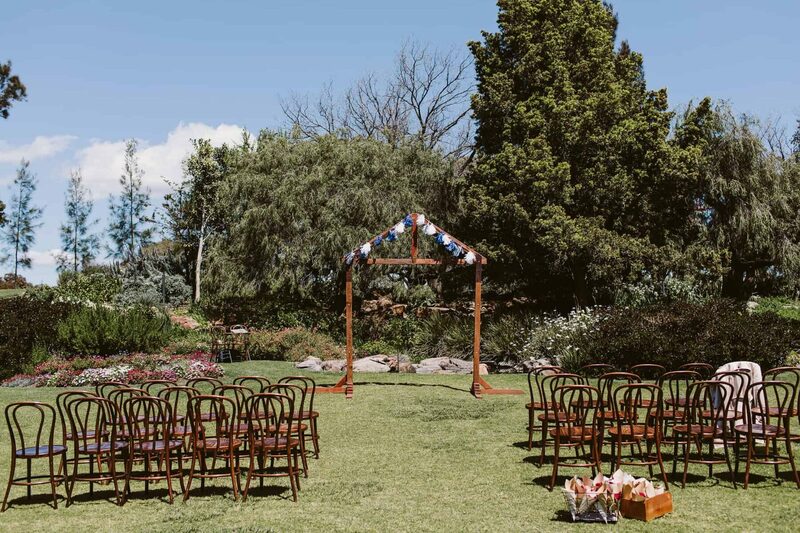 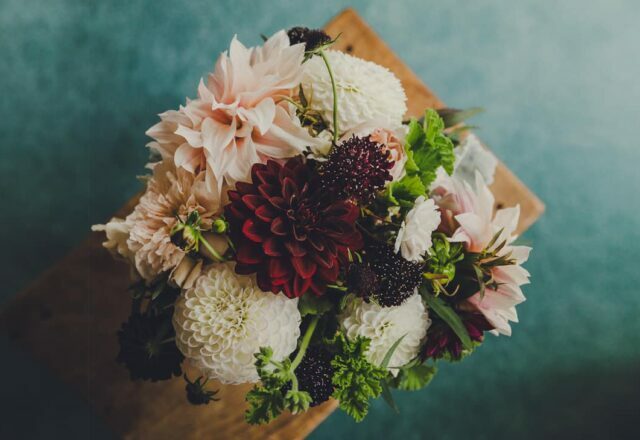 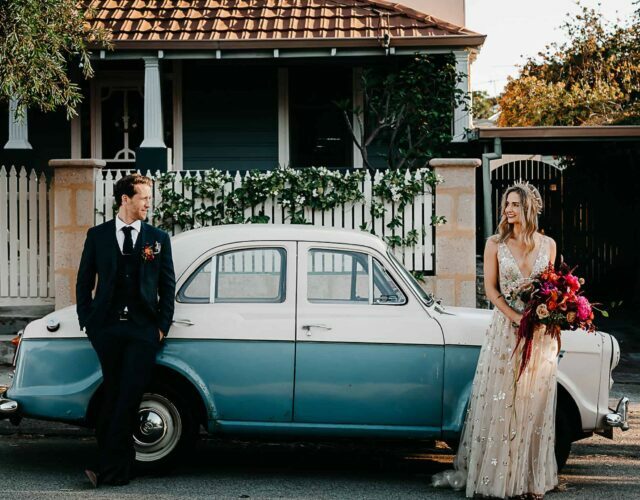 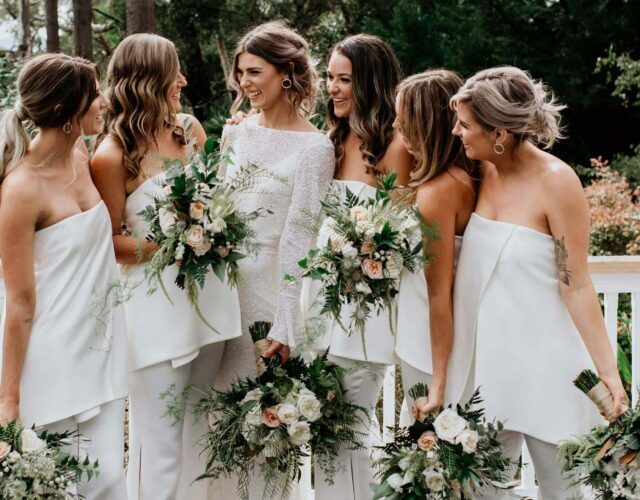 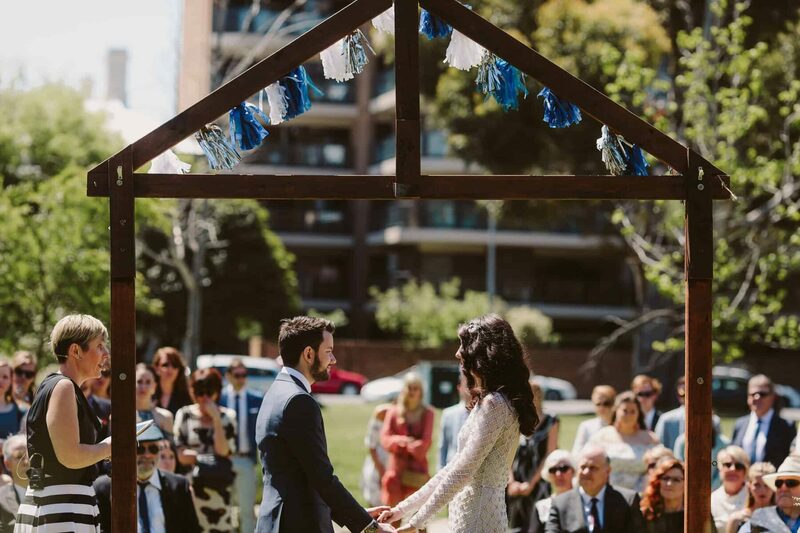 Kate Pardey captured the Adelaide affair, which kicked off with an intimate ceremony at the couple’s local green, Veale Gardens. 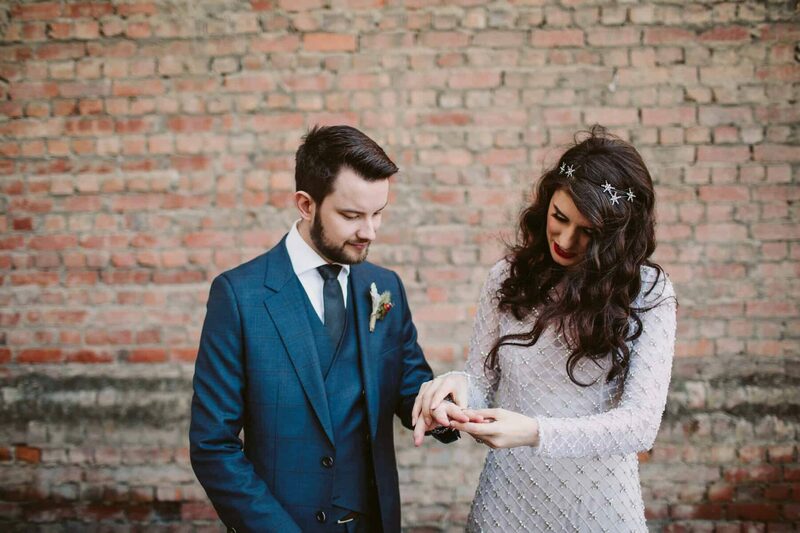 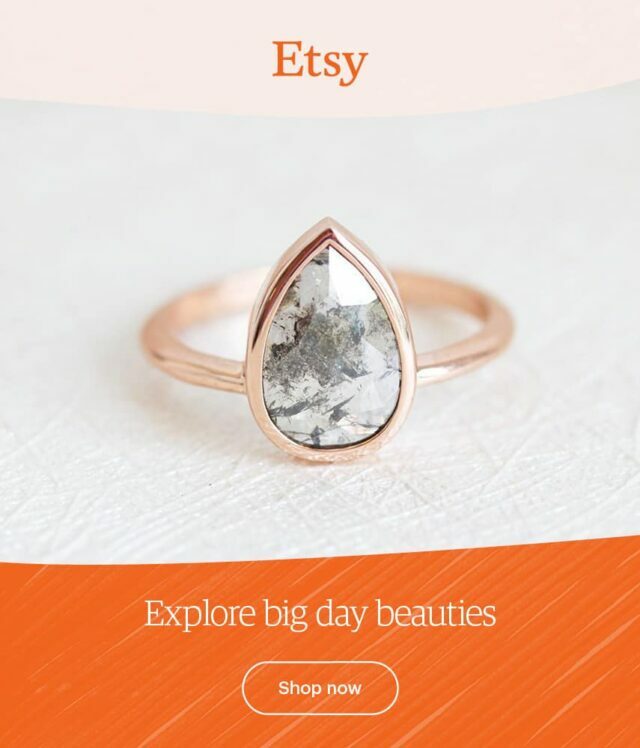 When it came to popping the question, Michael went all out, choosing a Scottish Castle to do the deed. 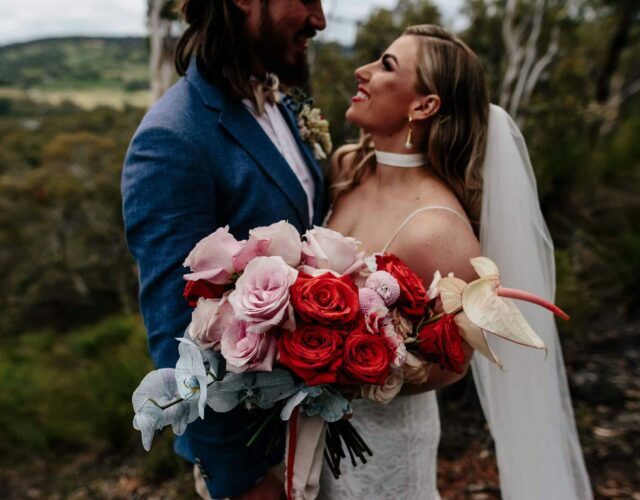 After an afternoon of falconry and archery, and a trip to the day spa for Tahnee, the couple checked into their room which was located in a castle turret. 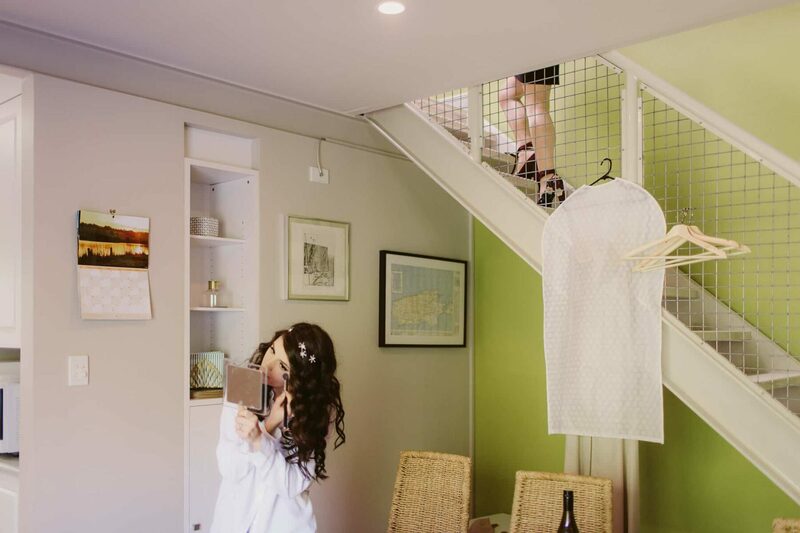 Michael had prepared Champagne and carefully placed the ring box (housing a stunning Julia deVille ring, no less) for Tahnee to find. 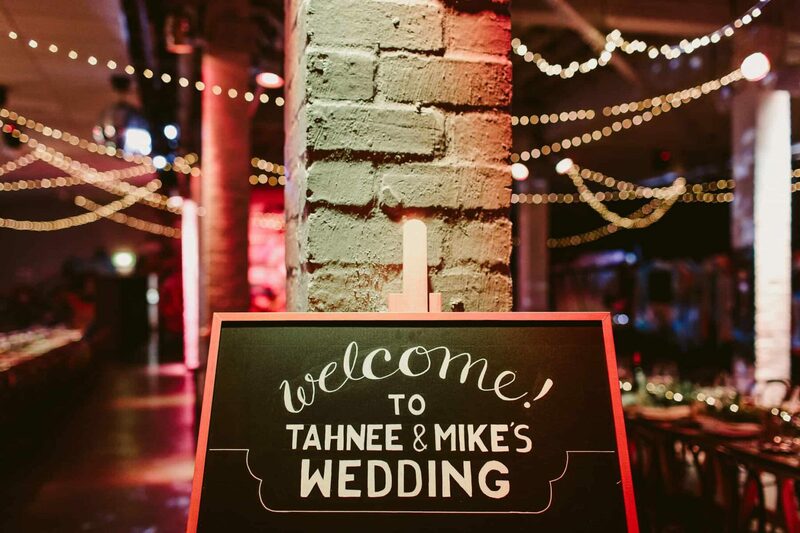 Nicely done, Mike! 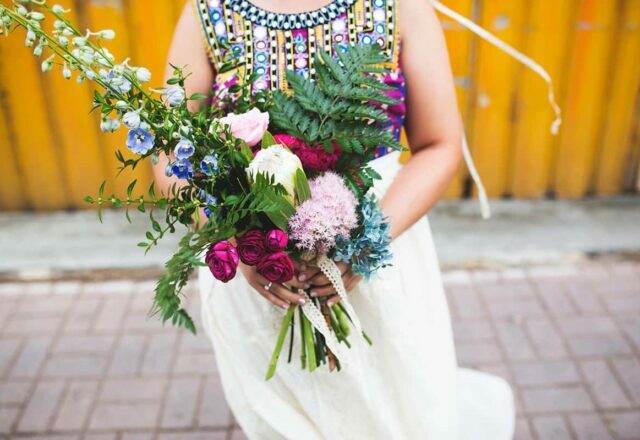 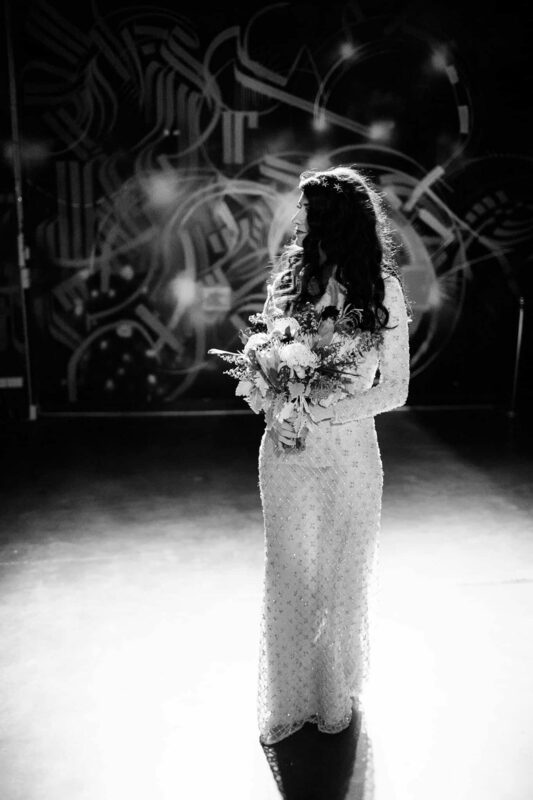 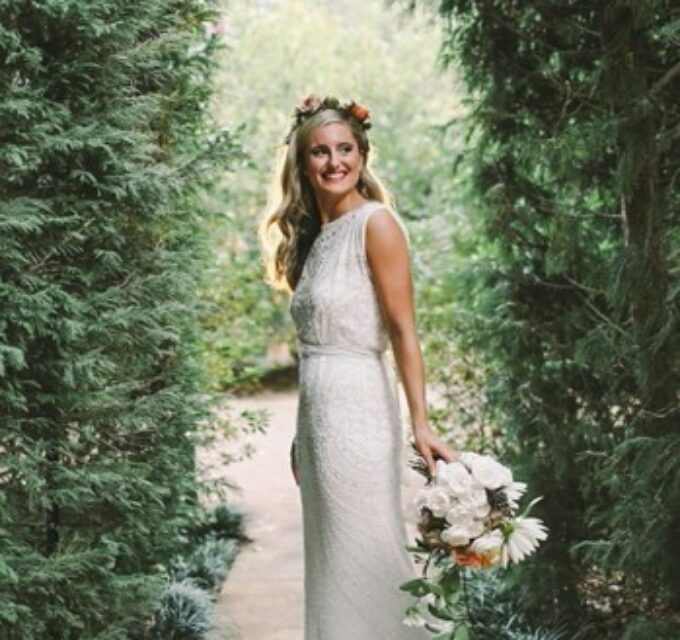 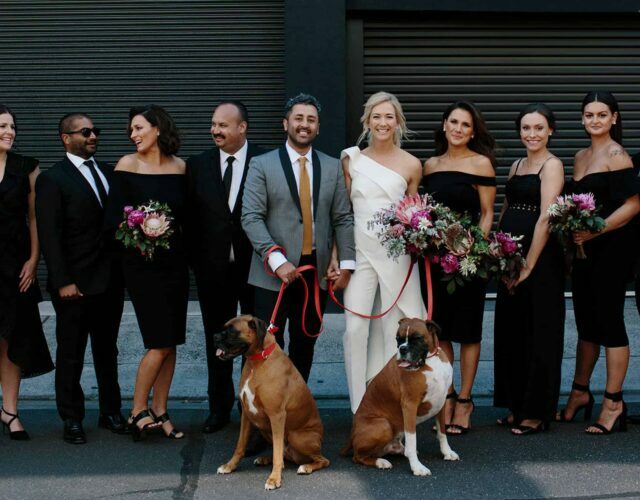 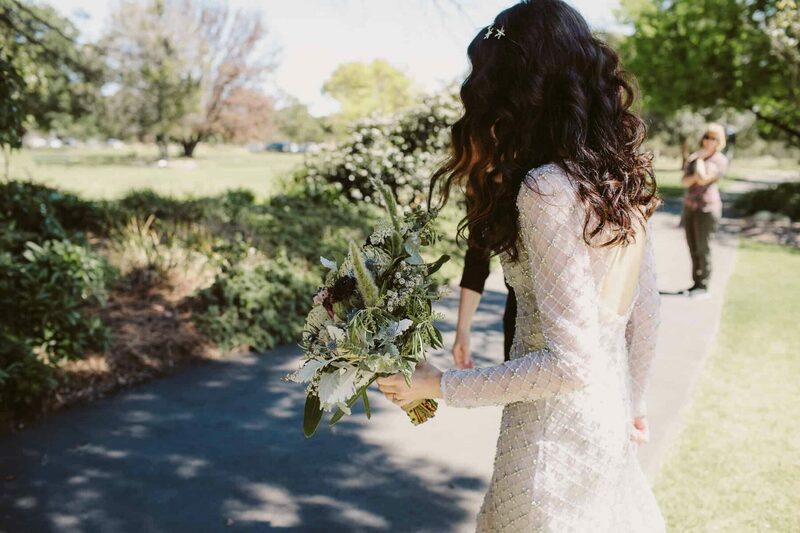 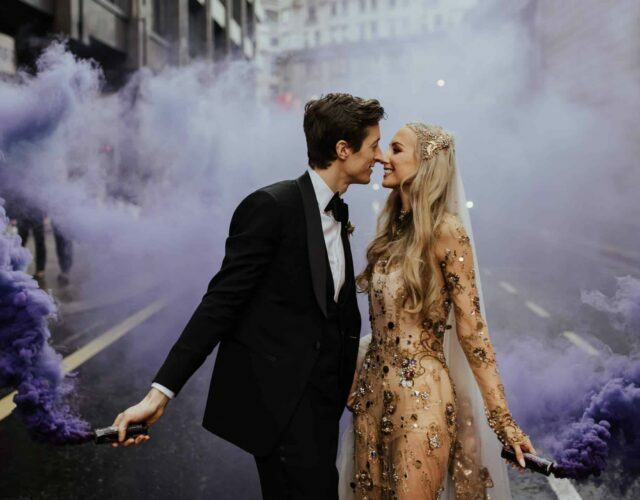 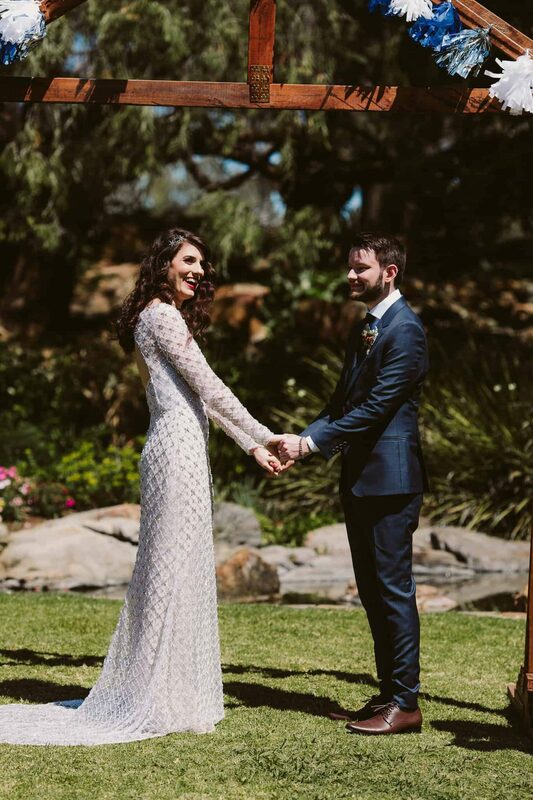 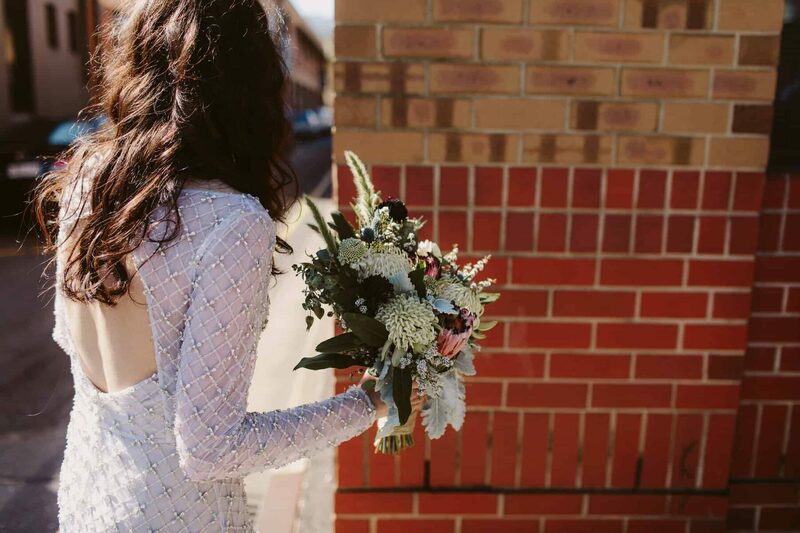 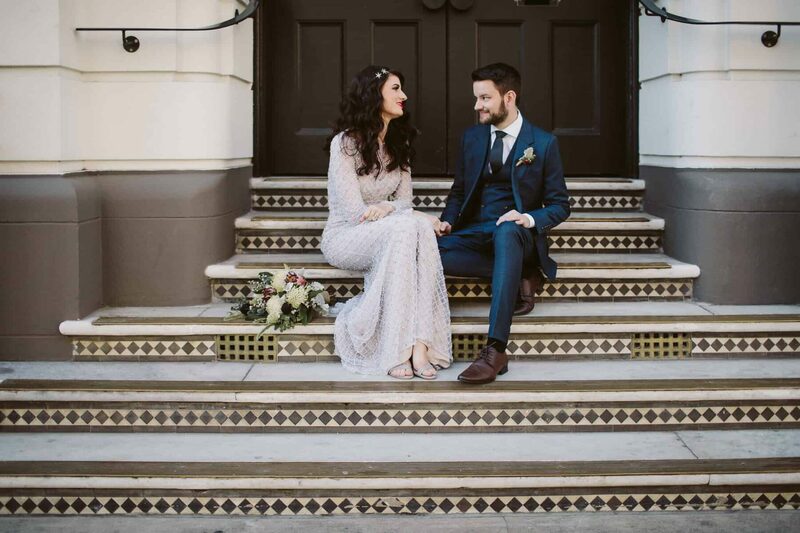 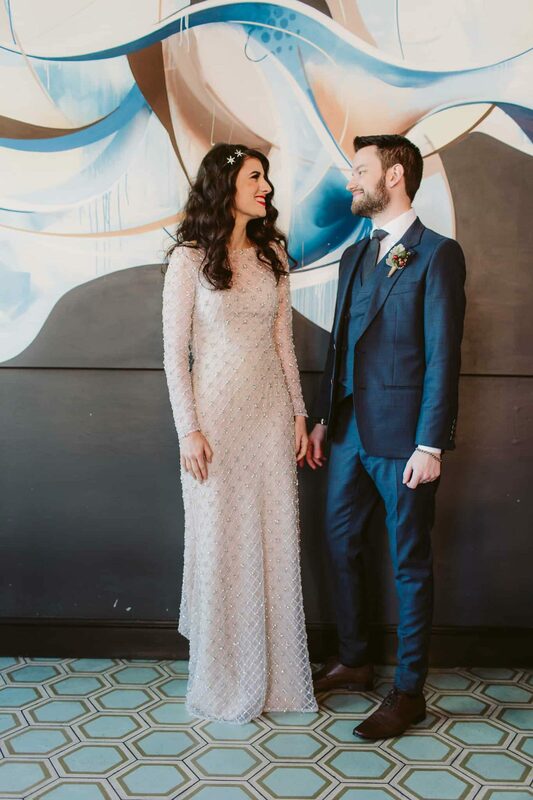 Tahnee chose an Art Deco inspired, long sleeve wedding dress by One Day Bridal, which she paired with a celestial haadpiece by Jennifer Behr and native bouquet by Natasha Ong. 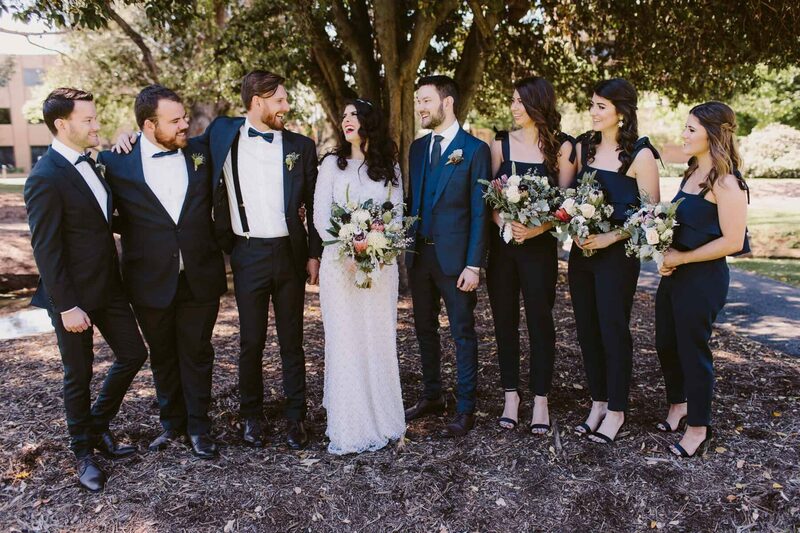 Have we mentioned how much we love bridesmaids in jumpsuits? 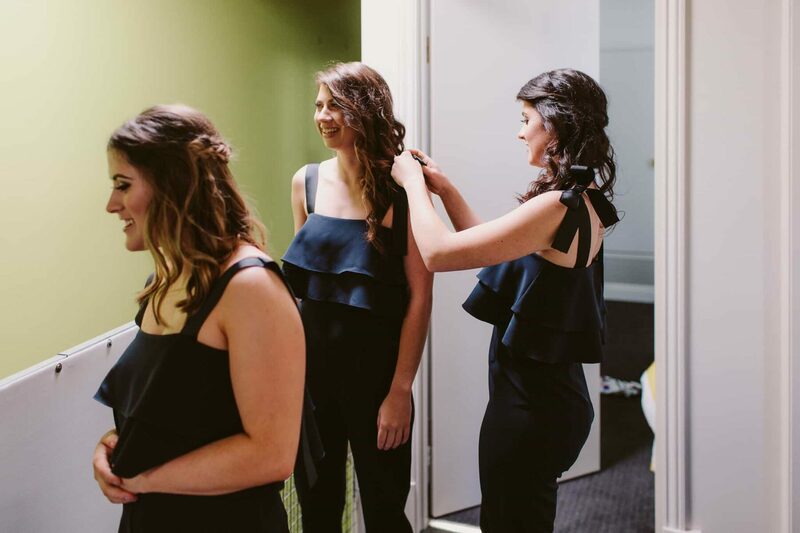 Tahnee’s three lovely ladies wore sleek black numbers from ASOS with statement earrings by Bauble Bar. 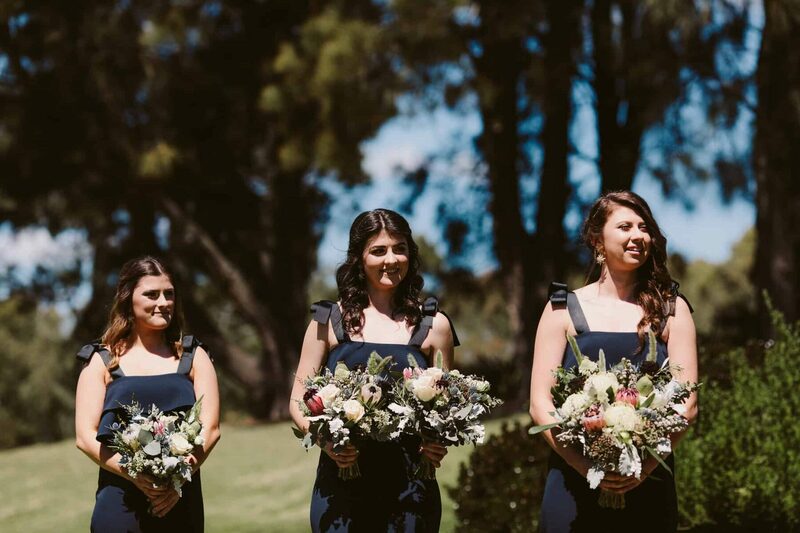 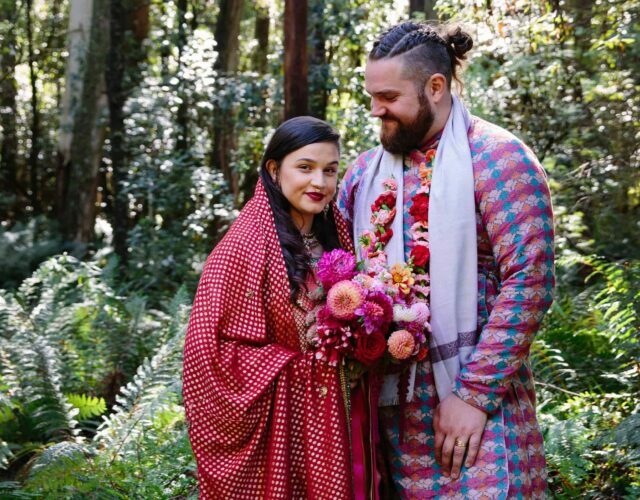 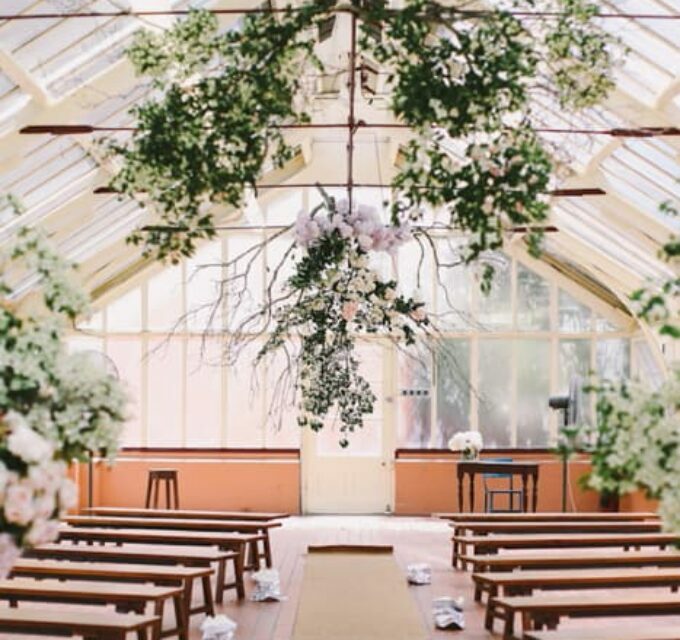 Together with florals and foliage by Natasha Ong, stylists Elly & Elm brought Tahnee and Michael's vision to life, and the pair couln't have been happier. 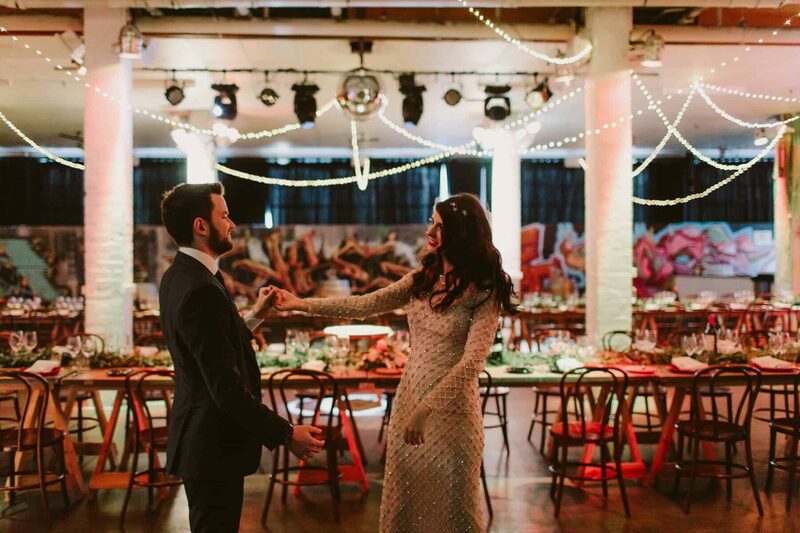 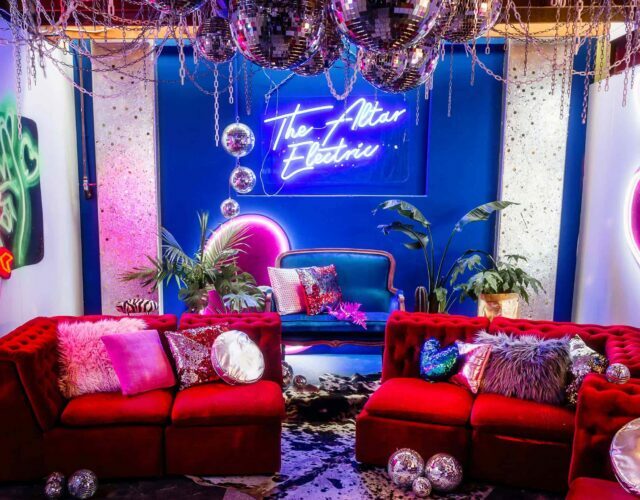 "When we arrived at the Published ArtHouse we were blown away by how beautifully the space had been transformed." 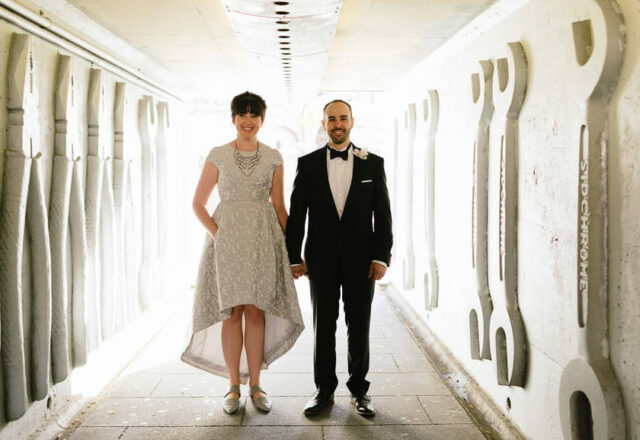 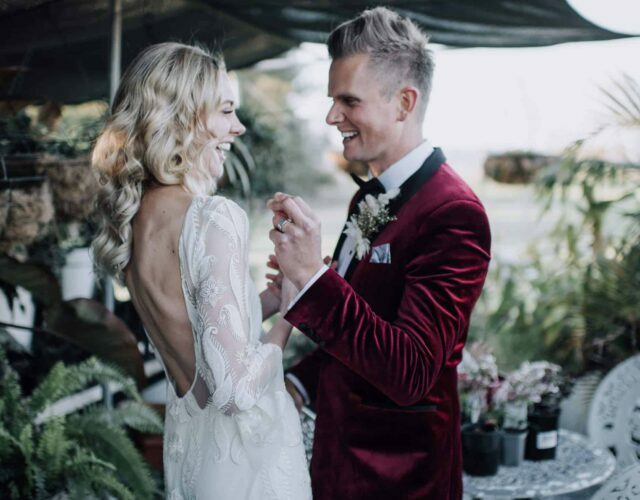 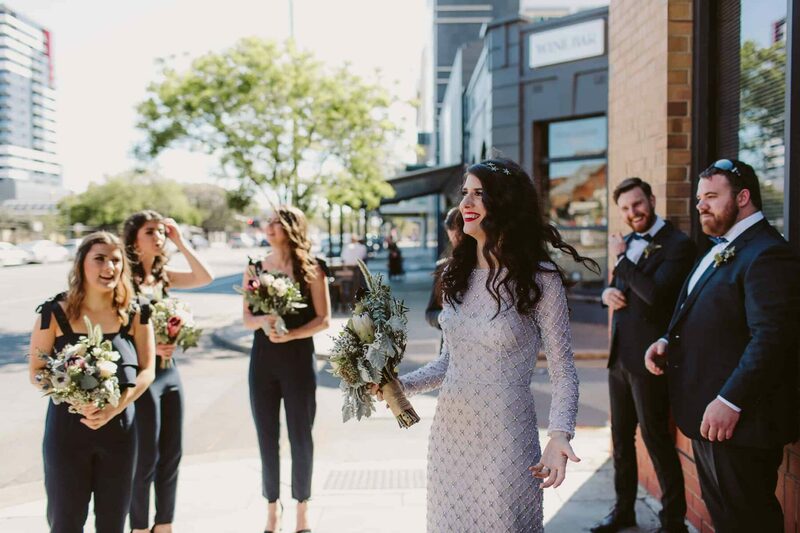 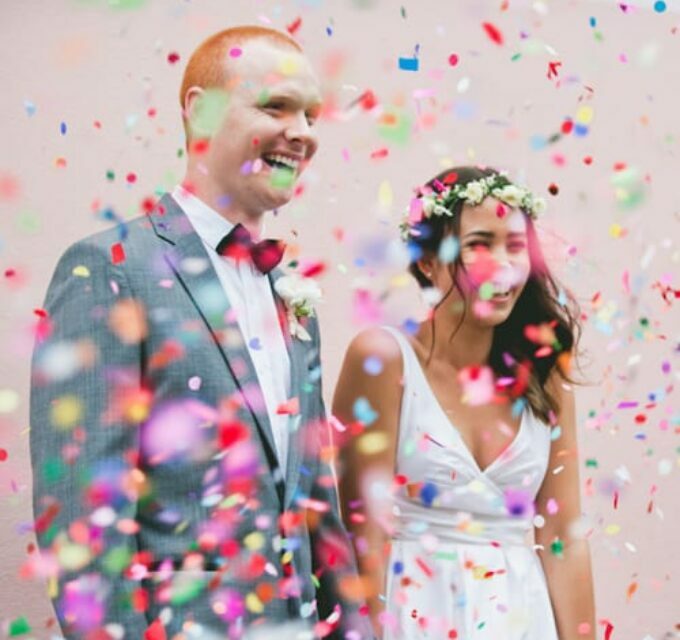 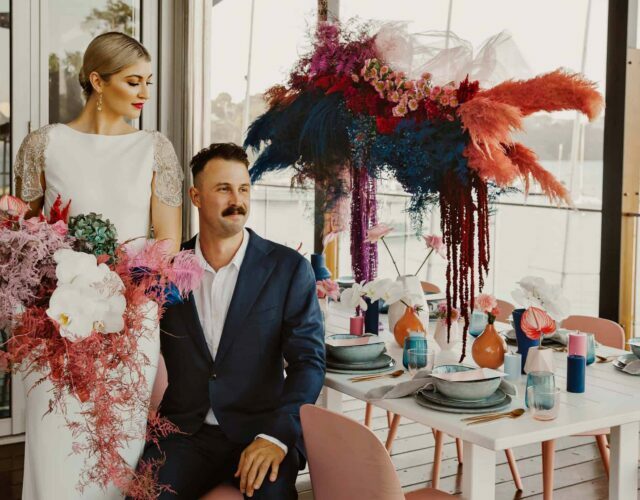 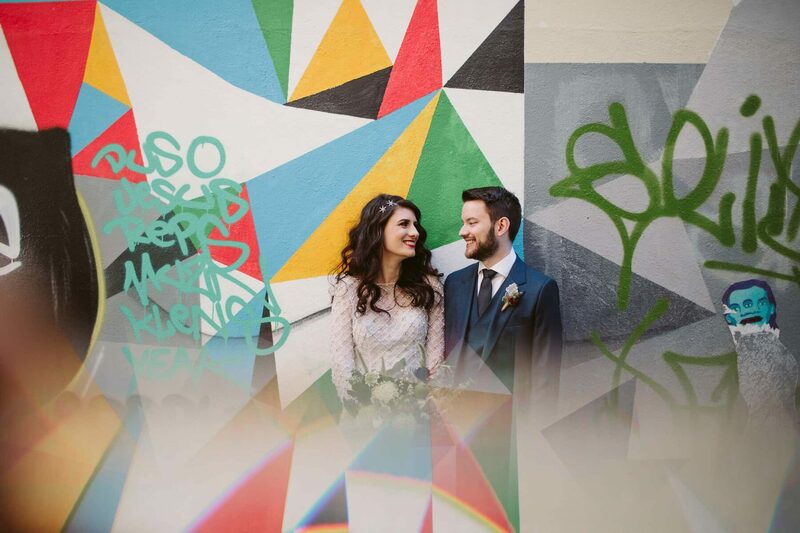 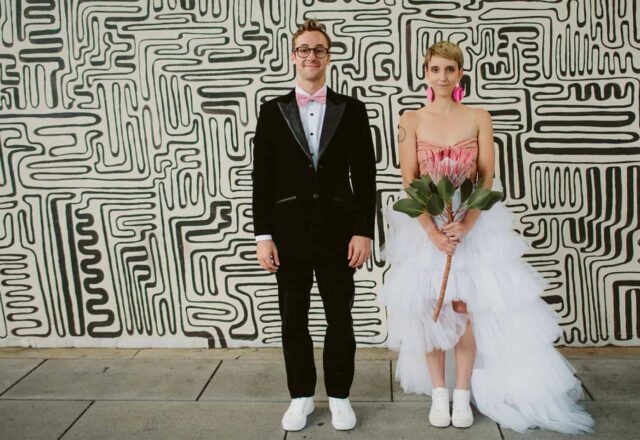 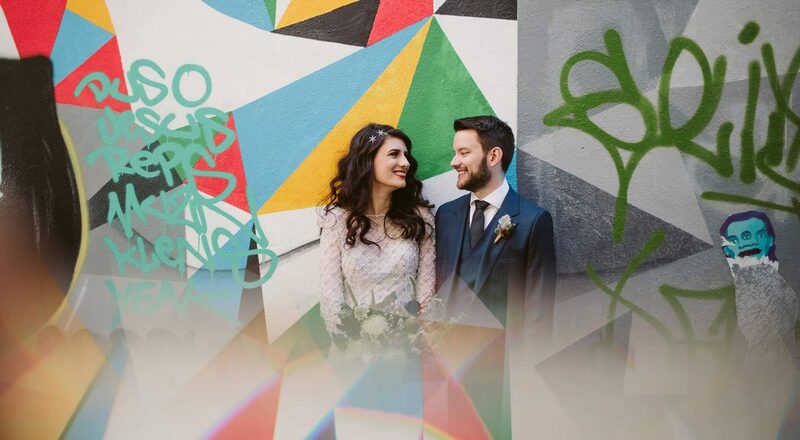 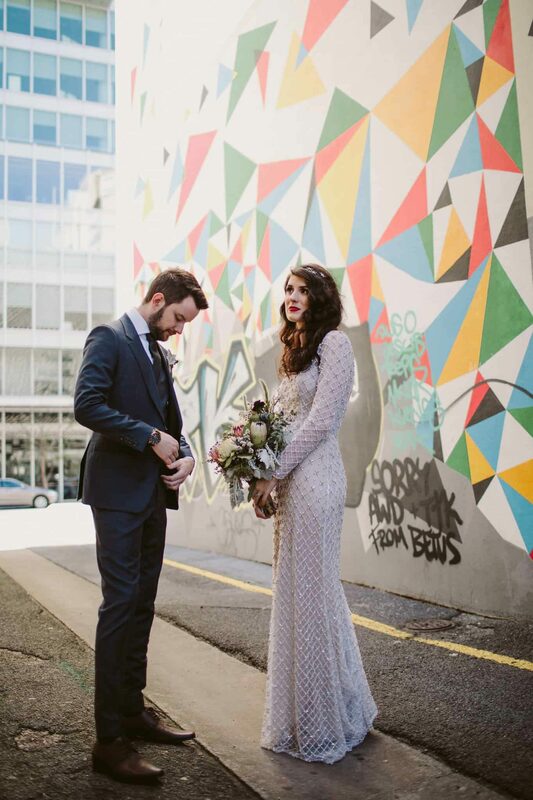 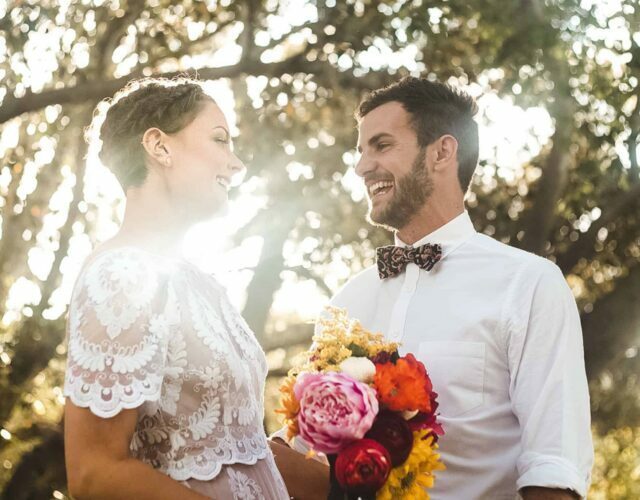 Adelaide wedding photographer Kate Pardey captured the day in her trademark quirky, journalistic style, providing a natural account for these newlyweds to relive whenever the mood strikes. 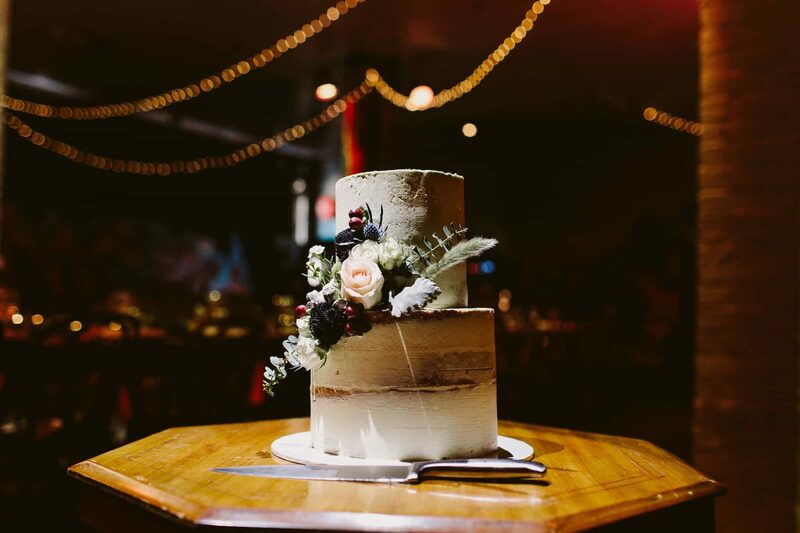 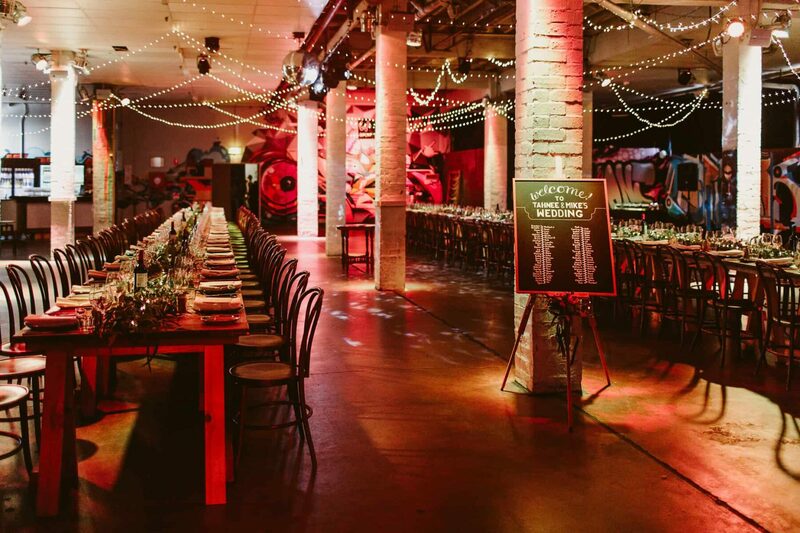 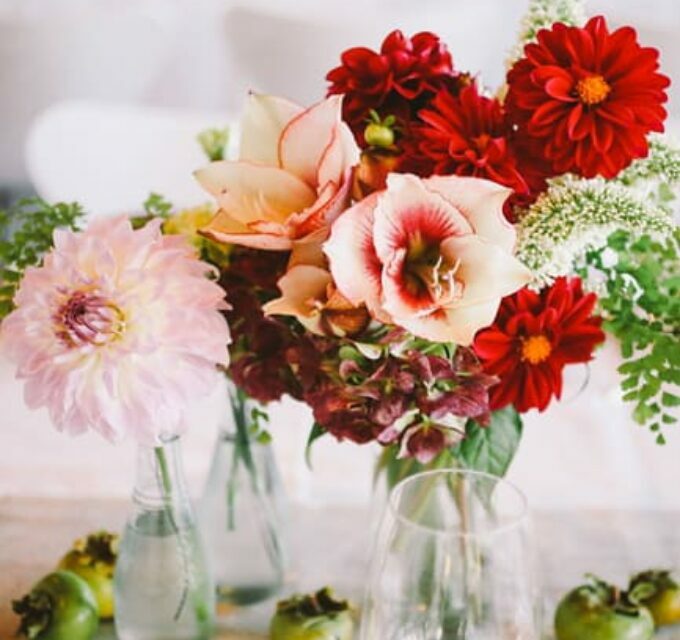 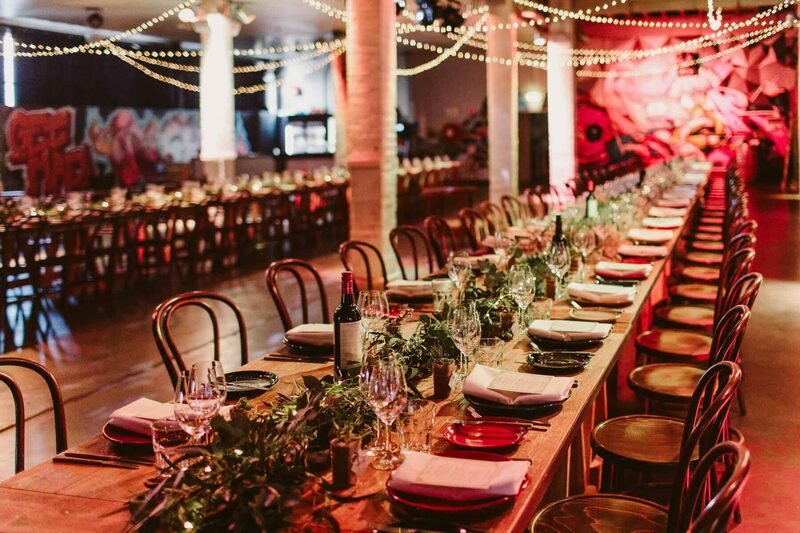 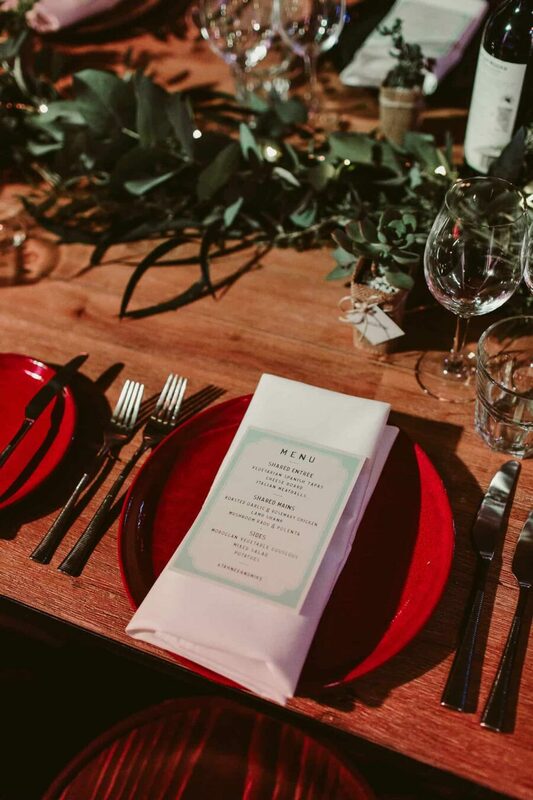 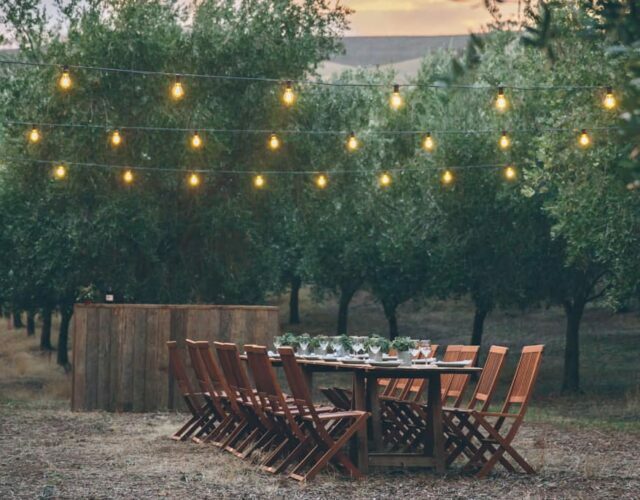 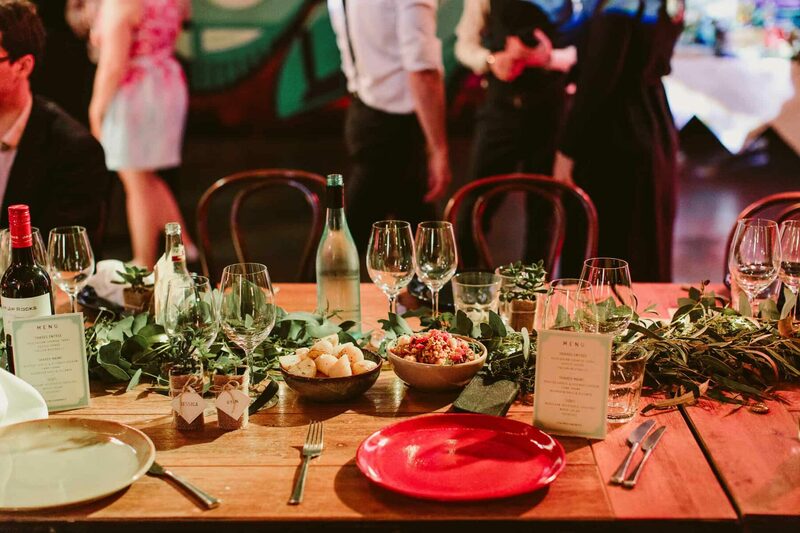 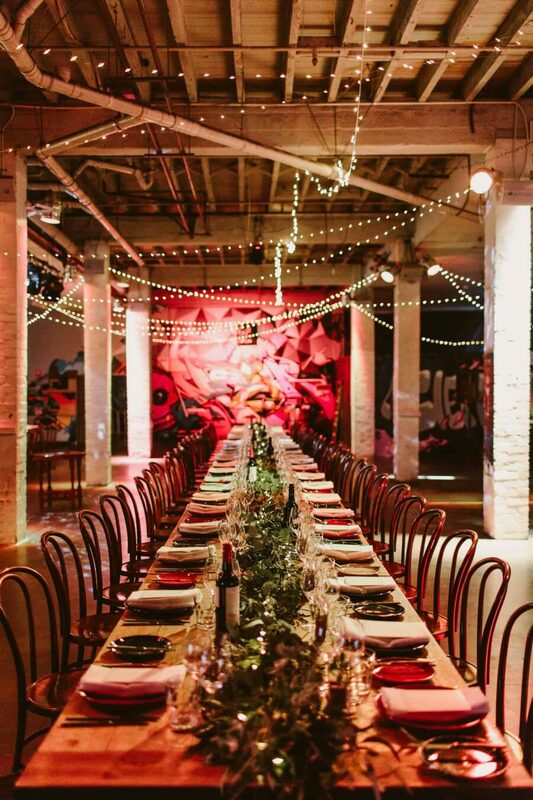 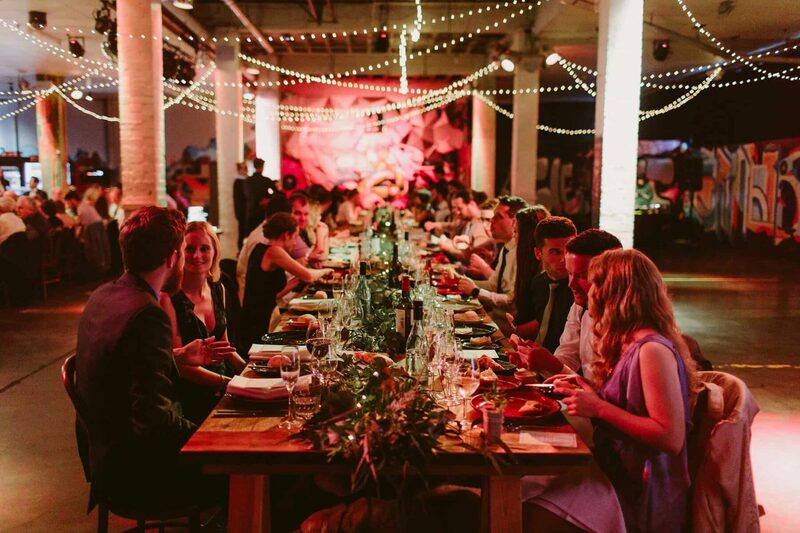 Published ArtHouse not only excelled as a killer reception venue, they also put together an epic veggie-friendly feast that had guests raving long after the event.